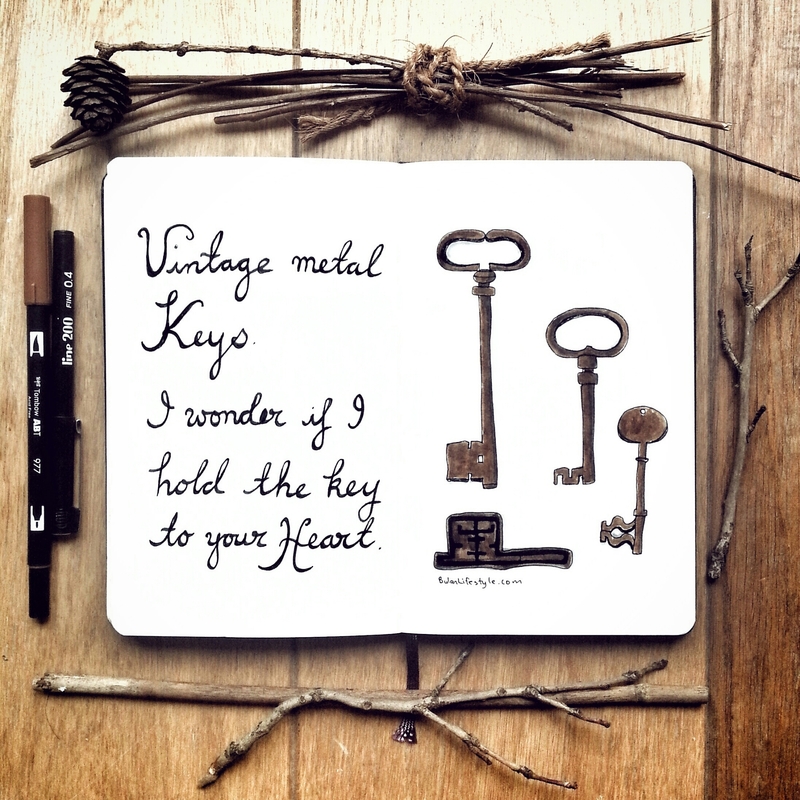 Sketch of the day no 912 in my moleskine art journal: vintage metal keys. I wonder if I hold the key to your heart? Sketch of the day in my moleskine art journal are vintage European metal keys from the Oxford university museum collection. Selamat malam kawan saya! Yes you do. Most your posts drawings and thoughts put a smile on my face, no matter what circumstances I’m in. 🙂 Merci de partager tes sourires. I guess I have without knowing it! Selamat malam! Live from London! 🙂 How are you my dear? Funny I’ve been thinking about Bulan mail. Haven’t seen Bulan in a while. Local monsoon… 😦 It seems the new moon is only today, and full moon is on the 19th. let’s make a Moon appointment. Au revoir, your kawan. o wow! That would be the closest you will be to me and I don’t even have to send messages via Bulan Mail. Tonight there’s n0 moon. Do you have any? Lol. These ones I saw came in a variety of sizes. Pretty cool. Back in London or still happily wandering across the old continent? Reblogged this on Artsy Jolie Girl.